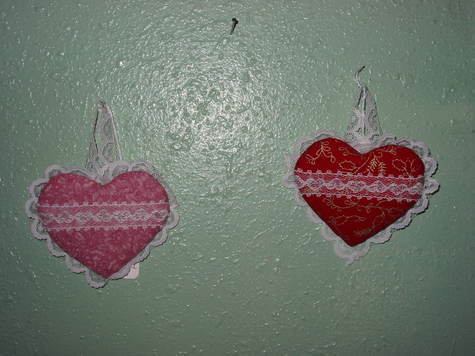 These beautifully handcrafted Small Heart Wall Hangings will make you fall in love all over again. Made with various colored fabric and lovely lace. These are approx. 3in tall and will make a wonderful addition to any home. A great gift idea! Each sold separately. If buying multiple items, shipping is one flat rate.